When in the middle of an exhibit at Lincoln Park Zoo, I often forget I’m in the middle of Chicago. I get lost in the sense of adventure exploring the gardens and viewing the animals. Ever since my first visit, about 15 years ago, I’ve been impressed with Lincoln Park Zoo’s commitment to making the experience free to the public year-round. 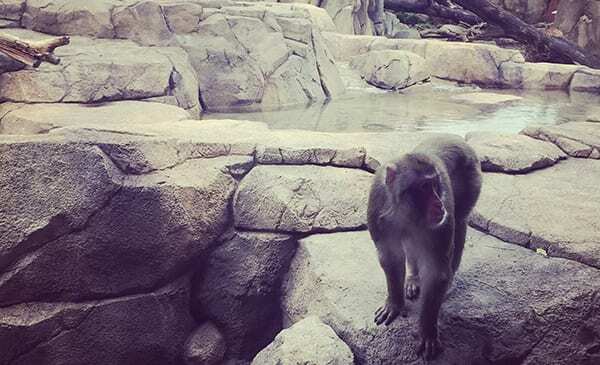 One of the oldest zoos in the country—founded in 1868—Orbit was thrilled to be part of translating the experience of the new Regenstein Macaque Forest exhibit for online audiences. The high-tech Regenstein Macaque Forest, home to a troupe of nine snow monkeys from Japan, is part of Lincoln Park Zoo’s $15.5 million capital improvement plan. On April 2nd, this state-of-the-art exhibit officially opened to the public. In preparation for the opening, Lincoln Park Zoo set out to create an online presence to further engage visitors before, during, and after their trip to the exhibit. That’s where we stepped in; to help define what the online experience would be. Lincoln Park Zoo’s communications team had a vision to create a visually striking and memorable interactive website. A non-profit institution, Lincoln Park Zoo’s goal is to ‘connect people to nature through a family-oriented wildlife experience.’ The website would help them achieve this by increasing engagement with the exhibit through another medium with an added educational focus for children. But what does that look like? And, more importantly, how will people use the website? Those are the questions that the design process would answer. There are many directions design can take, the challenge is narrowing down the possibilities. We find the best way to do this is to align the client’s vision with what is technically feasible within their budget and timeline. For a more in-depth look at the features list above, read our case study. Prototyping is an excellent way to get ideas out and assess their validity. We needed to actualize layouts to verify that our vision aligned with the client’s. Prototyping allows us to test ideas early on in a cost-effective manner. Lincoln Park Zoo’s communications team came up with great visual content, including photos, videos, and custom illustrations. Working in close collaboration with their team, we were able to plan around the content. Seeing how the content worked (or didn’t work) we were able to make changes early on without risking the design and development budget. 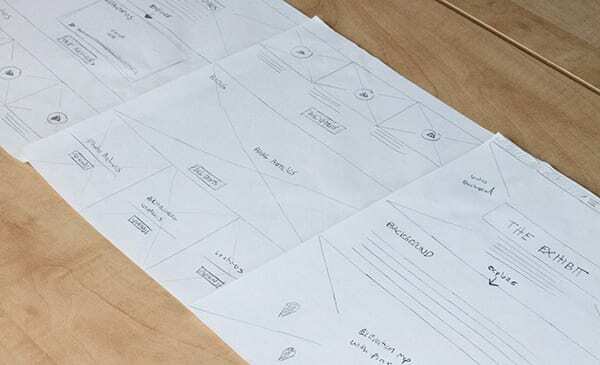 Prototyping also serves as a methodology to roughly test the user experience. 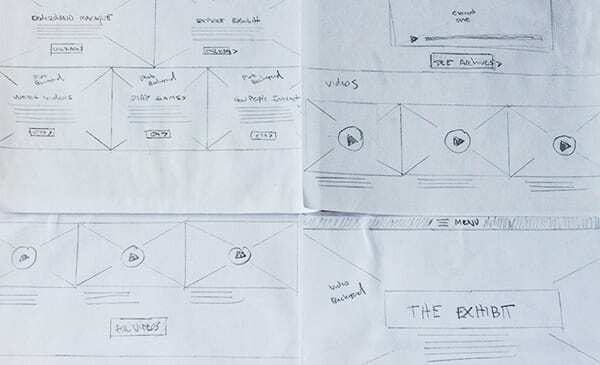 For us this was critical to predict how the site would look and function on a phone or tablet without having to spend a bunch of time wireframing and designing at this point. 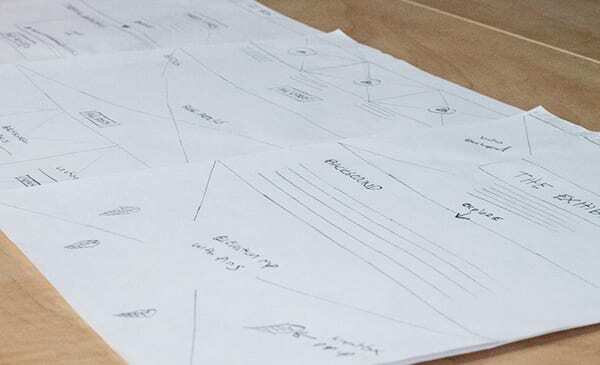 We used the sketches in conjunction with various live examples of features we found on other sites to demonstrate to their communications team how the site could come together to reach their goals. They were excited to see what was possible, as were we. Once we settled on our direction, the prototypes were then used to help budget the full design and development of the website. Falling into the cycle of re-working, over-engineering, and over-thinking can be very detrimental to any project, especially on the web. Prototyping can help avoid those pitfalls, solve usability problems, and help designs evolve. Once we’d successfully determined our core functionality through prototyping we were able to proceed with design and development phases in a more efficient manner. Lincoln Park Zoo is extremely happy with the result of the website, so much so we plan to create a series of exhibit focused sites that share the same framework used here. We appreciate Orbit’s attention to detail and creative approach to bringing our new exhibit to life online. We are honored to have worked on this project and look forward to continue applying the lessons of prototyping to future client projects. Visitors to the zoo and the website will learn about macaques, the exhibit, and the important role of zoos in conserving wildlife and caring for these amazing primates. Check out the site and visit the Regenstein Macaque Forest next time you are nearby. Lincoln Park Zoo is located on Cannon Drive at Fullerton Parkway, Chicago, IL and is open daily from 10am-5pm. Have you used prototypes in your work? If so, we’d love to hear about it in the comments below. I loooooooove this site! So happy to see the final product is out there and so fun to use. I especially like playing the games and watching the videos. 🙂 I can’t wait to go see the exhibit in person this summer. I’ve learned a lot about snow monkeys on this site already. Everything is so easy to find! This site is fun and fantastic. Andy, Barrett, Nick, et al… Congratulations on this terrific site. You all have come such a long way from our early days. Joan and I feel like proud parents. Continued success. So nice to hear from you! Thanks for the kind words. I’ll be sure to pass them along. Hope you’re doing great! Thanks for the comments. Happy you all like the site! Monkeys and websites, these are a few of my favorite things. 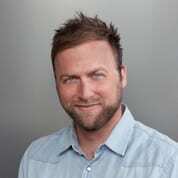 Kudos to you Nick for designing such a fantastic site – this is so elegant, fun and interesting!! I’m sure all the Zoo followers are loving it! My kids love this site. I love this site. Everyone loves this site. Way to go!